Front cover of release has title "gaudylight". 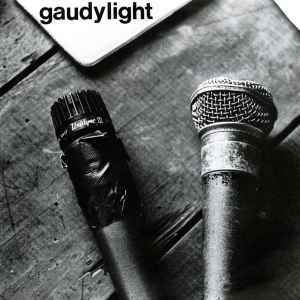 Disc label has release title as "Gaudy Light E.P.". Track B1 is titled "mrs blücher" on back cover, and "Mrs. Blucher" on disc label. Track B2 is titled "warden tye" on back cover, and "Warden Tie" on disc label.